The Realtree camo brand has been around for ages and is famous for its intricately detailed camouflage patterns that suit all types of hunting. 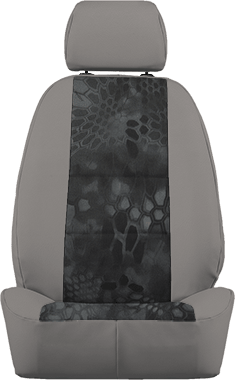 When it comes to our Realtree seat covers, ShearComfort only sells the real deal and we offer the exact same high-quality patterns that Realtree camo enthusiasts have grown to love. Guaranteed for both quality and fit, we strive to offer only the best in Realtree seat covers that'll last for many hunting trips! Other patterns and colors we have in Realtree patterns are Max 5, AP and AP Green. We also offer Realtree pink camo seat covers for all of the drivers out there who love their camo, but also love their pink! Plus, you can choose the Sport look which will have Black side panels and the camo pattern of your choice as an insert. All of our Realtree seat covers are extremely high-wearing, waterproof, and abrasion resistant. 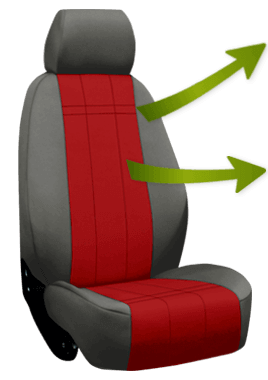 You won't have to worry about throwing your hunting gear or anything else onto your seat anymore. 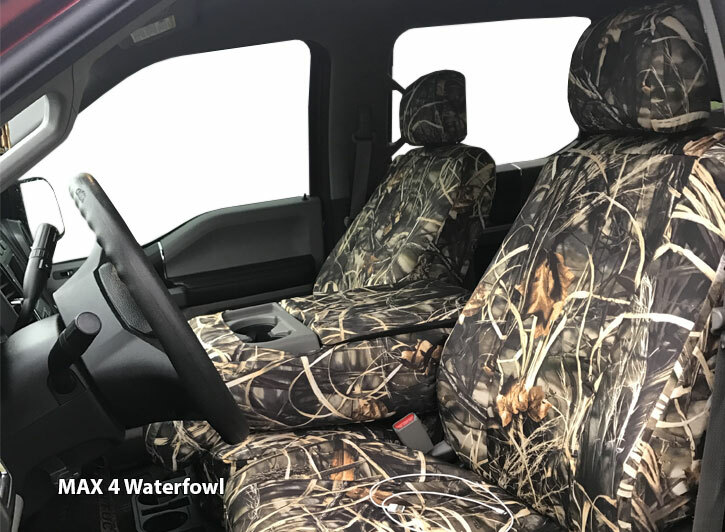 Even if you're not a hunter but just like camo patterns, our Realtree seat covers are versatile in use and the canvas-like fabric is great for construction, landscaping, or if you have large dogs. But that's not to say that you can't just have them because you want Realtree seat covers for your Ford F150 or Dodge Ram truck! One great feature about this seat cover is that it is easy to wipe down and clean when necessary. For those times that you really need a thorough clean-up, it is even machine-washable. This is a great option for many drivers, especially if you can't resist our white camo seat covers, also called Realtree Camo Snow. When it comes to our products, we want to make sure you are getting the highest-quality materials that will last a long time in your vehicle. We use high-grade, durable, Cordura-like material that is guaranteed for quality and workmanship. All of our Realtree seat covers are computer cut for exact fitment of your seat.